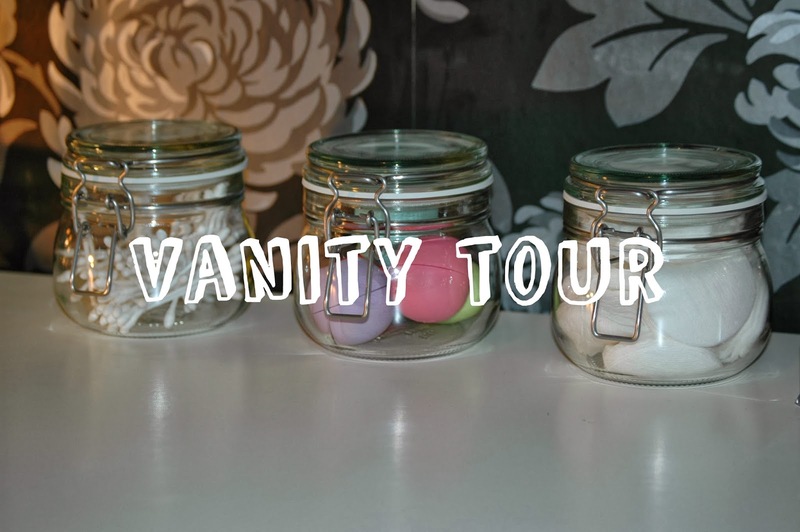 Tartan Fairytales : Vanity Tour! I got this plastic organiser from TK Maxx for around £8, and it is brilliant. It holds 12 lipsticks, with back compartments which is where I keep scissors and eyelash curlers! I also have a moisturiser and primer balancing on one of the compartments, there is also a large compartment where I keep a small glass filled with my make up brushes! I have a small wicker basket sitting on my vanity, which is filled with samples from magazines etc to try out, but as you can see they just keep piling up! I'm aiming to try something from there a few times a month! The next few pictures are in my make up drawer, I use cutlery dividers from IKEA to seperate everything and it works great! This is a few pictures of under my vanity, I keep most of my body care, haircare and other perfumes here. You can totally see my love for Lee Stafford products here - I mean the man is a hair genius! Nail Rock Glitter Nails Review! 13 Favourite Beauty Products from 2013! Lush Father Christmas Bath Ballistic Review! Five things to do in 2014 - Gemma's turn! Five things to do in 2014.